The majority of our work is completed in Westcliff, Southend and Leigh on Sea, so if you have travelled through some of these towns, you will have very probably seen some of our work. 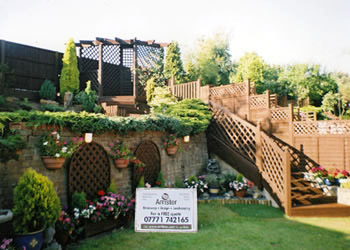 We are very customer focused, pride ourselves in a personal service and treat your garden as if it were our own. 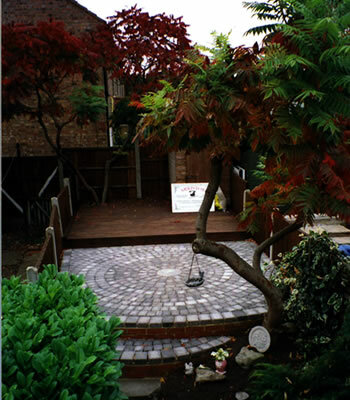 We work with a variety of materials - sourced from suppliers; such as Marshalls & Stonemarket, offering all types of modern and traditional landscaping solutions - so we are sure that we can accomodate the 'theme' that you wish for your garden. We regularly visit and enjoy the Chelsea Flower Show to pick up ideas and tips. Apart from being a professional garden landscaping company, our services extend to rustic decking, wooden fencing, garden water features, driveway block paving and decorative driveways, along with all types of fencing, of which you can read further in the relevant sections of our website by selecting from the navigation above.